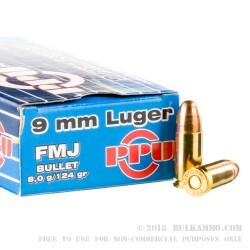 This Prvi Partizan 9x19 Luger ammo is loaded with a 124 grain full metal jacket or FMJ bullet along with the usual copper jacketed lead core design. They are loaded into high polished, reloadable, Boxer primed non-corrosive, new, yellow brass cases. 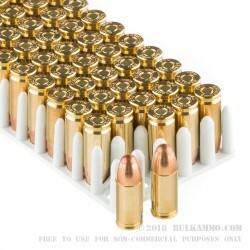 These rounds are made in Serbia, and each box contains 50 rounds. 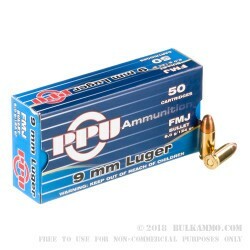 These 9mm loads are priced just right for you to test out your new pistol or sub-gun, take your family out for a day of plinking, or even shooting in a pistol competition. Grab more than one box and ensure you and your family can have days of fun at the range. The 9mm Parabellum, 9mm, 9x19, or 9x19mm Luger is one of the best-known handgun and submachinegun rounds in the history of modern and 20th century warfare. Georg Luger was the man behind the 1901 design, even though it only began to see service in 1902. 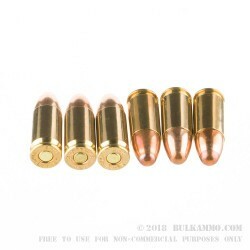 The 9mm round became the standard sidearm cartridge of NATO, the United States Military, and multiple other countries throughout the world that are not part of NATO. Even though the grain weight of the NATO 9mm Parabellum falls between 128 grains on the heavier side to 108 grains on the lighter side, that decision is made by each country based upon the firearm it is being used in.